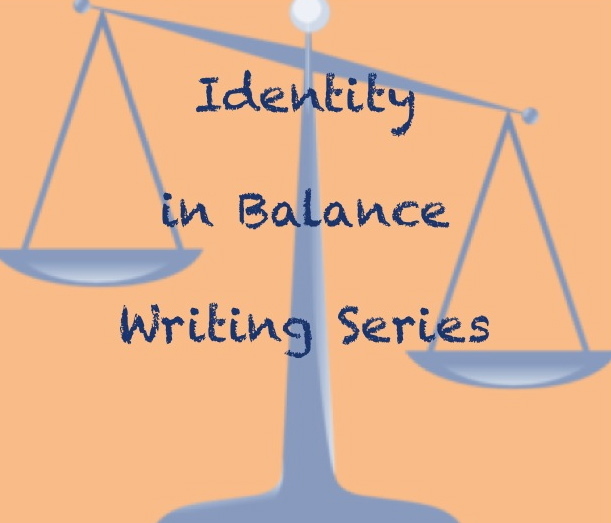 Balancing Jane: Identity in Balance Essays: What Roles Do You Balance? 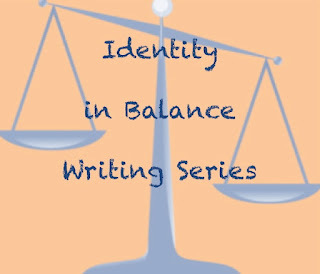 Identity in Balance Essays: What Roles Do You Balance? This blog has grown quite a bit in the past few months (thank you!) You may remember the Identity in Balance Writing Series from earlier last year. We all wear many labels. Some we wear our whole lives, and some shift as our relationships to those around us change. We are mothers, fathers, aunts, uncles, teachers, students, friends, feminists, Democrats, Republicans, daughters, sons, employees, bosses, and a host of other identities that weave together to make us who we are in any particular time and space. Sometimes those identities easily merge together, but often there are excesses in the overlap, spaces that might confuse us, spaces that make it challenging to figure out who we are. Balancing Jane maintains that it is in those spaces that we find out the most about ourselves, that when we are forced to simultaneously own two labels that we might not have placed together we figure out what we stand for. It is also by inhabiting those spaces that we learn to appreciate other people, for if we can be more than one thing, then so can they, and that means that our preconceived notions of them are always--at best--an oversimplification. And the responses were fantastic! Danielle wrote about being a feminist who submits to her husband. Scott shared the challenges to balancing his identity as a stay-at-home dad. Jennifer wrote about being a feminist mother who wears lipstick. Shannon wrote about being Catholic and feminist. Mitch wrote about being a hunter and a conservationist. Emma wrote about being upper-middle class and not having a car. Martha wrote about being a liberal Texan. Since then, I've thought a lot about how much exploring our own identities and how they intersect and interact when we might not expect them to really teaches us a lot about ourselves and the world around us. Recognizing the complexities in our own identities inevitably leads to recognizing the complexities in others, and that means that we are also more able to have hard conversations with someone who has a different perspective if we can recognize the way that we navigate those tensions in our selves. It teaches us so much, in fact, that I'm hoping to make it an assignment in my classes. My developmental writing community college students are often juggling many, many roles. They are full-time employees and parents. They are part-time students and former drug addicts. They are full-time students and athletes. They are fresh out of high school and living on their own for the first time. They are military Veterans and returning to school for the first time in decades. They are complicated, full, and interesting people who don't always see themselves with the richness they bring to the world around them. I feel like giving them this writing assignment will give them the opportunity to explore those tensions and flesh out a sense of who they are now and who they are becoming. I plan to show them some of the essays submitted here as samples, and I'd love some more examples. I'd also love to see some more reflections on what makes you tick, how you navigate these journeys. So, I'm renewing my call for essays and would love to see what you have to say! (And if you want to submit a post under a pseudonym or anonymously, that's fine, too). Pick any two labels that you wear (by choice or necessity) and reflect on how they intersect. Start with I am _________ and _______. Of course, these are not your only two labels, but these should be two that have, when combined, given you some insight into yourself or the world around you. Share what wearing those two labels has meant to you. It can be an essay, story, poem, photograph (I think there's some great photography potential here), etc. Send me your submissions at balancingjane [at] gmail [dot] com or post it on your own blog and send me the link so I can share it here. Be sure to include a short byline about yourself (and linking to your own blog, if you have one) if you want. I look forward to reading your reflections!